Conceptual work and radio broadcast interventions occurring between 1920s – 1974. An ongoing project by Róisín Madigan O’Reilly and her husband Edmund Madigan, Voweling the Heaviside involved transmitting Irish vowel sounds across long-range frequencies so that they would influence the shape and texture of white noise, infiltrating radio space with the sonic spectre of Éireann. The Heaviside layer is comprised of ionised gas occurring between approximately 90–150 km (56–93 mi) above the ground. It is one of several layers in the Earth’s ionosphere and reflects medium-frequency radio waves. According to Jane Lewty “in early radio, during the 1920s and ‘30s, static was often its defining factor. Long-range signals would bounce off the Heaviside and swamp the short-range frequency. If two signals were jammed in close proximity, within the radio spectrum, the distance between them was known as “audial differentiation,” a state of flux which resulted in a high-pitched screaming sound hovering above the continually hissing sibilance, known as “white noise”” (2007). During the 1920s, Madigan O’Reilly and her husband Madigan embarked on a series of illegal experiments that involved misusing the equipment at the 2RN radio station to broadcast long-range transmissions of Irish vowels into radio space. One unintended and un-measurable consequence of these illicit activities was their effect on the literature being developed in Ireland at that time. Lewty has suggested that the characters of James Joyce’s modernist literature were ““heard,” or coaxed, from his mind…from exposure to radio” (2007); T.S. 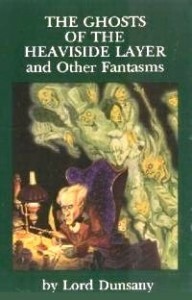 Eliot referred to the Heaviside layer in an unpublished poem leading to its use as a metaphor for Heaven in the musical Cats written by the English composer Andrew Lloyd-Webber; and Lord Dunsany wrote a number of fantasy works which were not published until later in the 20th century but which echoed notions of there being “Ghosts of the Heaviside Layer” (1980). It is difficult to prove that voices encountered by Joyce and Dunsany and transposed into writing were those transmitted by Madigan O’ Reilly and her husband – particularly as their transmissions were necessarily unplanned and undocumented: without knowing the full extent of the Voweling The Heaviside radio interventions one can only guess what part they played as a subliminal influence. However that they played some role is at least hinted at in the strong aurality of Joyce’s prose and in the cultural legacies of Eliot, Lloyd-Webber and Dunsany. As Jonas writes, “Those who have heard Mr. Joyce read aloud from Work in Progress know the immense rhythmic beauty of his technique. It has a musical flow that flatters the ear, that has the organic structure of works of nature, that transmits painstakingly every vowel and consonant formed by his ear” (1929). After Madigan died in 1950 Madigan O’Reilly continued to develop their jointly conceived venture of illicit Voweling The Heaviside broadcasts, relocating from the Athlone and Dublin studios that were formerly the place of employ of her husband and slowly commandeering the abandoned radio technology left on Great Blasket Island after its voluntary evacuation in 1954. 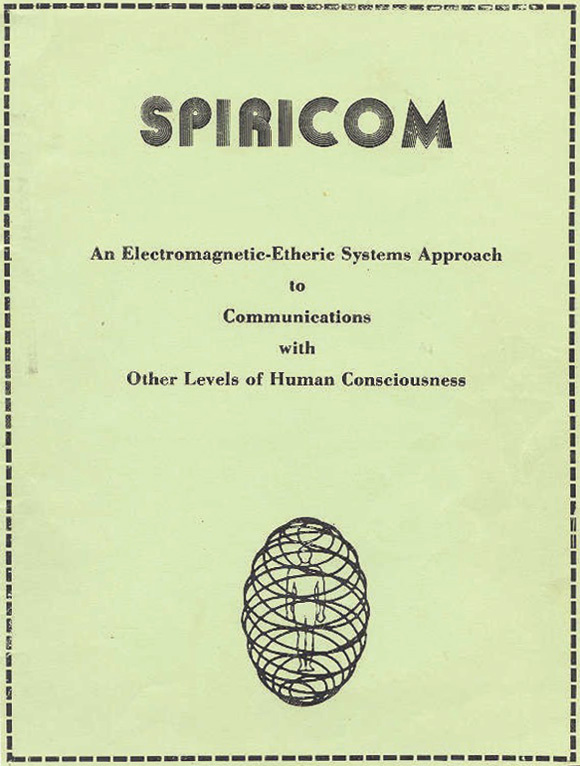 Some of the same circuitry found in William O’Neill’s 1980s invention “The Spiricom” bears remarkable similarity to the technology appropriated from Great Blasket Island and related device diagrams found in Madigan O’Reilly’s personal estate: this has led some historians to believe that Voweling The Heaviside created some of the legacy on which EVP (Electronic Voice Phenomenon) enthusiasts later built their work. The radio buildings and some of the equipment on the Blasket Islands can be seen in a film shot by Maurice Lyons who accompanied the Irish Radio Amateurs on a field trip there in 1958. Lewty, J. (2007). Q.R.N, I.C.Q: Joyce, Radio Athlone and the 3-valve Set, In: Hypermedia Joyce Studies, Volume 8, Number 1 [accessed on 17/11/14]. This entry was posted in Noise, Radio, The West, Vocal, Women. Bookmark the permalink.